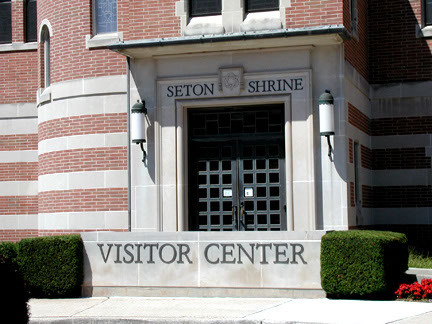 Seton Shrine : Cast Bronze Lettering affixed to wall. 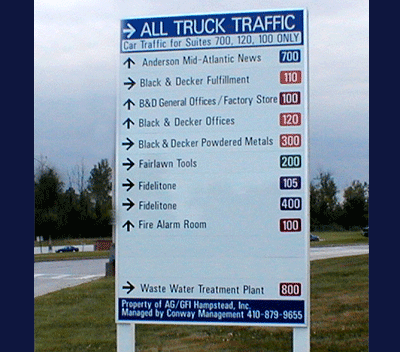 Industrial Park Directional Signs: Various Materials. 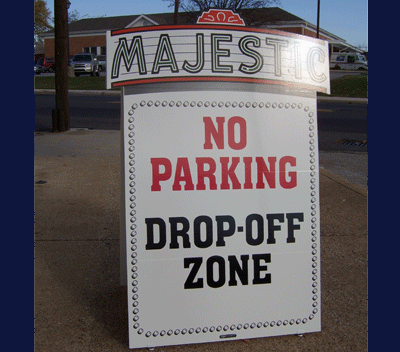 Majestic Parking : MDO Plywood A-frame sign with Digitally Printed Graphics.